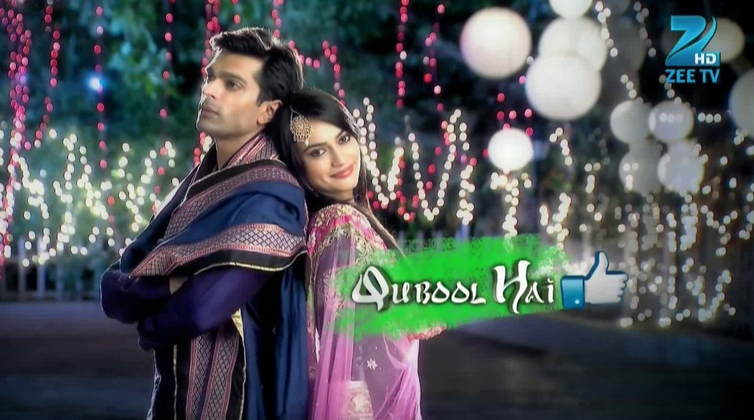 Qubool hai is one of the shows airing on Zee Tv. It first reflected the story of Zoya Farooqui (Surbhi Jyoti). This story line was awesome. After Zoya’s death, the two twin daughters are looking exactly same as her/mother. Sanam and Seher track was just good. After Seher’s death and Sanam’s memory loss the story was just okay and tolerable. But after Sanam’s death and Mahira track…..it did not impress much. Its very difficult to find even identical twins now-a-days and here twins are identical to each other and also identical to their mom, making it a triple lookalikes together!!! And Zoya’s daughters are looking like her and Tanveer’s daughter also?? Many coincidences in same generations and same home. Where does it happen?? Mahira is the new life of Sanam. Sanam cannot be a human once again and that too of same religion in her new birth. Black magic and vampire and all this drama is clearly unreal according to the show theme. So it would be better to try out new things and fit some logic into the show. TR would like to thank Dia for her input. Disclaimer: The opinions expressed within this article solely reflect the views of the author. TellyReviews does not assume any liability for the same. – Read our introductory post on Have Your Say @ TR !! for details on submission, and why your opinion matters.